Harvardwood organizes monthly masterclasses in which participants can delve deeply into a specific area or topic, learn directly from an industry veteran in an intimate setting, and engage in a productive Q&A session. Mandel Ilagan is the VP of unscripted development at Nickelodeon, where he’s helped launch the hit series “Paradise Run” and the eagerly anticipated special "JoJo Siwa: My World." This aficionado of game shows and reality shows was a VP of Harvard-Radcliffe Television (HRTV) where he hosted and produced the game show "Survey Says!" and produced the sketch comedy show "TCR." After graduating from Harvard, he moved to L.A. and soon after was a question writer on the Fox game show “Greed.” Over a career that’s spanned over 18 years, he’s been a development executive at FremantleMedia where he created the game “1/2 Off” for “The Price is Right.” He also helped launch the Fox Reality Channel as one of its execs and he developed and produced the Emmy-winning Hub game show “Family Game Night” as an exec for Hasbro Studios. In addition to his TV work, he plays piano and is a keyboardist for The Remotes, a TV theme cover band that has served as the house band for the Daytime Emmy Awards. Sue graduated from Harvard College with a degree in Women, Gender, and Sexuality Studies. She started her career at Time, Inc., writing health and beauty articles for various publications before moving to LA and beginning her screenwriting career in 2013. She has sold to and developed pilots with ABC, CW, Warner Bros. TV, 20th Century TV, and Odd Lot Entertainment. On the staffing side, her credits include Fox's Gotham, ABC's Agent Carter, and most recently, NBC's The Brave. Grainne is one of the few screenwriters you will meet who was born and bred in Los Angeles (Mount Washington to be exact.) She graduated from Harvard College with a degree in History and has an MFA in screenwriting from Columbia University School of the Arts. Currently, Grainne is a Supervising Producer on DC's Legends of Tomorrow, a show about time-traveling superheroes where her history degree comes in handy. James Kearney was born and raised in Toronto, Canada. He started working in the United Talent Agency mailroom shortly after graduating from Harvard University. He is currently an agent in the television department, where he represents writers, producers, and directors working on such series as GAME OF THRONES, THE WALKING DEAD, SCANDAL, AMERICAN GODS, MR ROBOT, SUITS, STAR TREK, QUEEN OF THE SOUTH, BROOKLYN 99, LAST WEEK TONIGHT WITH JOHN OLIVER, and TONIGHT SHOW STARRING JIMMY FALLON. Warren Hsu Leonard (Goliath, How to Get Away with Murder) was born in Linkou, Taiwan to a multiracial family, and grew up in a small town on the coast of Maine. He is an honors graduate of City College of San Francisco, UC Berkeley and Harvard Law School. In his legal career, he practiced at international white-shoe firms, and at small., non-profit legal clinics. Sine 2012, he's written and produced television for shows on broadcast, basic cable, premium cable and streaming networks. He's repped by ICM Partners and Writ Large. For the Amazon Studios series Mozart in the Jungle, Roger acted as composer, music producer and consultant. In 2016 MITJ won two Golden Globes and an Emmy, including the Golden Globe for Best Comedy Series. Amazon recently released the soundtrack album for Mozart in the Jungle, which features Roger’s orchestral arrangement of Phoenix‘s “Lisztomania,” the series’ main title. In television Roger is well known for his 13 seasons scoring the Fox prime-time animated series King of the Hill. Currently Roger is music consultant for Chuck Lorre’s comedy series, Mom. Roger’s other television credits include Chicago Hope, Michael Hayes and The Simple Life, and many others. Roger is very active in the commercial world, scoring ad campaigns for Facebook, Subaru, Hummer, Axe and many others. Roger has had the good-fortune to collaborate with many distinguished commercial directors, including Roman Coppola, Mike Mills. Kathryn Bigelow, Rupert Saunders and Gus Van Sant. Roger has been active as teacher throughout his career, at UCLA Extension, Cal Poly Pomona, and as founding faculty of the Palomar Film Music Workshops. He is the recipient of many ASCAP and BMI awards, an Emmy for his work on King of the Hill, and an LA Weekly Theater Critics Musical of the Year Award for his operetta The Beastly Bombing. The Beastly Bombing will be produced next in late 2017 at the Deutsches SchauSpiel Haus in Hamburg, Germany. Roger Neill is represented by Evolution Music Partners. Jonathan Hamel is a veteran game designer with over 20 years of experience in entertainment and software development. He helped reinvent one of the most recognizable and commercially-successful game franchises in the world with his design leadership on the Tomb Raider reboot (2013) and its sequel, Rise of the Tomb Raider (2015). He has made children smile, launching over 100 games on SesameStreet.com. And he gave players new battle strategies to explore in The Lord of the Rings: The Battle for Middle-earth II: The Rise of the Witch-king. He recently worked as a Designer/Programmer on What Remains of Edith Finch, soon to be released from Giant Sparrow and Annapurna Interactive. He now works full time as Chief Game Designer at a VR company, EON Reality, Inc.
With Jennifer L. Holm, Jonathan is also the co-author of The Stink Files series: The Postman Always Brings Mice, To Scratch a Thief, and You Only Have Nine Lives, three novels about a cat who is a spy (published by HarperCollins). John Bowman is an Emmy award winning writer who has been writing and producing comedy for 25 years. He has written for Saturday Night Live, It's Garry Shandling's Show, Fresh Prince of Bel Air, In Living Color, Martin, Murphy Brown, and Frank TV, among others. He created Martin and received two NAACP Awards and a People's Choice Award for his work there. He is currently a trustee of The Harvard Lampoon. In 2008 he received a PEN USA First Amendment Award for his leadership in the 2008 Writer's Strike. Melinda Hsu Taylor is an Executive Producer on The Vampire Diaries and a proud genre geek. Previous credits include Lost, Falling Skies, Star Wars: The Clone Wars, Medium, and drama pilots for NBC and Lifetime. She is an alum of the Warner Bros. TV Drama Writers' Workshop as well as the WGA Showrunner Training Program, and serves on the Advisory Board for the Sarah Jones Film Foundation, which fosters on-set safety through awareness and accountability. Chip Johannessen was born in Detroit and educated at Harvard University, where he wrote for The Harvard Lampoon. He later embarked on a short-lived career as a rock guitarist before turning his attention to television. His past writer-producer credits include Beverly Hills 90210, The X-Files and 24. He also served as showrunner for Millennium, Moonlight, and Dexter. Chip recently completed a J.D. at UCLA's School of Law and passed the California bar before joining Homeland as Executive Producer. At Homeland he’s been honored to share in an Emmy, two Golden Globes and a WGA award. Just this year he picked up another WGA award, this time in long form, for Saints and Strangers. Chip sits on the board of the Writers Guild of America, West and is co-chair for the 2017 negotiating committee. Emmy Award winner Jeff Melvoin has spent the last 30 years as a writer-producer in episodic television on a dozen primetime series. Executive Producer credits include Army Wives, Alias, Early Edition, and Picket Fences. He was Supervising Producer of the CBS series Northern Exposure, for which he wrote 18 episodes and won an Emmy and two Golden Globe Awards. Other writer-producer credits include the NBC series Hill Street Blues and Remington Steele. He most recently served as consultant and executive producer on two Amazon projects. Melvoin is founder and chair of the Writers Guild of America’s Showrunner Training Program and the Writers Education Committee. In February, 2015, Melvoin received the Morgan Cox Award, the WGA’s highest recognition for Guild service. He has taught at Harvard, USC School of Cinematic Arts, UCLA, and the Sundance Institute, and is one of several executive producers featured in the 2014 documentary film, Showrunners. Melvoin is a past board member of the Mystery Writers of America (Southern California Chapter) and the Writers Guild of America, West. In 2004, he co-authored a WGA booklet, Writing for Episodic TV, which is still in print. He also serves as a Trustee on the Board of the Humanitas Prize. Before entering television, Melvoin worked as a Time magazine correspondent. David Eilenberg AB '97 is President of ITV Entertainment, part of ITV America, responsible for all development, programming and production across broadcast, cable and digital platforms. Current programming for ITV Entertainment includes FOX’s long-running Hell’s Kitchen, E!’s Rich Kids of Beverly Hills and A&E’s The First 48. Prior to ITV, Eilenberg was senior vice president of unscripted development, late night and specials at Turner, overseeing for TNT and TBS hit series including King of the Nerds, Cold Justice and Howie Mandel’s Deal with It, as well as late-night series CONAN, starring Conan O’Brien. Previously, Eilenberg was head of development and current programming for Mark Burnett Productions where he helped sell, develop and produce myriad popular and award-winning series, including The Voice, Shark Tank, The Bible and Are You Smarter Than A Fifth Grader?, for which he received a Daytime Emmy nomination. Also a prolific creator, writer and producer, Eilenberg was head writer on Weakest Link and a writer on Da Ali G Show. He also was a co-director/ producer of the critically acclaimed documentary On Common Ground, and co-created the series Dismissed. Read Dave Eilenberg's Harvardwood alum profile. Thania St. John AB '83 is a film and television writer, creator and producer. Starting her television career at the Stephen J. Cannell Company on the iconic 21 Jump Street, Thania went on to create two network TV series of her own (VR5 and Crisis Center) and to write and produce over twenty popular and award winning dramas such as Drop Dead Diva, Grimm, Chicago Fire and Covert Affairs. She has written over two dozen pilots for all four broadcast networks as well as Showtime, Lifetime, SyFy, USA and is adapting the next graphic novel from the author of the Spiderman and Avengers series for HBO/Cinemax. On the feature side, Thania has had scripts optioned by several major studios and is currently writing the feature adaptation of The Witcher, a major international book and video game series produced by The Sean Daniel Company. Her next project is Against All Enemies, the story of the build up to the Iraq war based on National Security Advisor Richard A. Clarke's book and directed by David Dobkin for Sony. Thania is also proud to be a Co-Founder and President of The League of Hollywood Women Writers and has served on the Board of Directors of the Writers Guild of America, West. She earned her BA in American History and Filmmaking from Harvard University and her MFA in Film and Television Production from UCLA. Please refer to IMDB for more specific credits. Read Thania St. John's Harvardwood alum profile. Rob Doherty is currently Showrunning/Executive Producing the hit drama ELEMENTARY (currently in its fifth season) which he created for CBS Studios/CBS. Before that, Rob was an Executive Producer of MEDIUM for Paramount/CBS, where he worked for six seasons. Rob got his start at STAR TREK: VOYAGER. Maiya Williams AB '84 has been writing and producing television shows for thirty years. The first black woman editor of the Harvard Lampoon, Maiya graduated with honors in History and Literature and immediately moved to Hollywood where she got a job on the short lived sitcom Charlie and Company. Her more well known credits include the live season of Roc, Fresh Prince of Bel Air, The Wayans Brothers, Mad-TV, The Wanda Sykes Show, Futurama, and most recently, The Haunted Hathaways. Liz Ryan AB '81 currently works as Production Manager on the hit Fox TV series Rosewood. As one of the lucky shows to win a California Tax Incentive Package, after shooting the pilot in Miami, the show is now based in Manhattan Beach. Prior to her work on Rosewood, Ryan was production manager on the NBC show Aquarius and on the indie movies A Sort of Homecoming, Ancient Warriors, and John Sayles’ Go for Sisters. David Misch has been a comic folksinger, stand-up comedian, and screenwriter; his credits include the multiple-Emmy-nominated “Mork and Mindy”, the Emmy-losing “Duckman”, the Emmy-ignored “Police Squad!”, the Emmy-engorged “Saturday Night Live”, and the Emmy-ineligible “The Muppets Take Manhattan”. He wrote “Funny: The Book”, blogs for The Huffington Post and his play “The Boomer Boys” has its world premiere at the Secret Rose Theatre in Burbank in Fall 2016. David’s taught comedy at USC, musical satire at UCLA, and lectured at Oxford University, the Smithsonian Institute, and the University of Sydney (Australia); Yale, 92nd St. Y, New School, Cooper Union, Actors Studio, New York Public Library (New York); American Film Insitute, Pepperdine University, Burbank Comedy Festival, Grammy Museum (Los Angeles); Midwest Popular Culture Association and VIEW Cinema Con-ference (Torino, Italy). More at davidmisch.com. Andy Cadiff AB '77 has directed over 500 episodes of television. He served as Director and Executive Producer of Home Improvement, which won the People's Choice Award for ‘Favorite Comedy’ four times, and Spin City. He recently concluded as director of two long running TV Land shows: The Exes and the award winning hit comedy, Hot In Cleveland. His other television credits include but are not limited to: Empty Nest, Nurses, My Two Dads, Quantum Leap, The War At Home, The George Lopez Show, Rules Of Engagement,The King Of Queens, Hermans's Head, The Hughleys, According To Jim, and My Wife & Kids. Andy’s title as Director has not been solely on TV series, but also on several films and TV movies. He directed the feature film version of the television classic Leave It To Beaver, Chasing Liberty starring Mandy Moore and Jeremy Piven, and the British Film A Bunch Of Amateurs, which was selected for the 2008 Royal Film Performance in London. Andy is a graduate of Harvard University and is a native of Newton, Massachusetts. Currently, he is the Director and Executive Producer of Young & Hungry for Freeform. Read our alum profile of Andy Cadiff. Nicholas Weinstock AB '91 runs Red Hour, a creative film and television company, together with his New York-based partners Ben Stiller and Stuart Cornfeld. Red Hour currently produces movies at 20th Century Fox, Paramount, New Line, Lionsgate, MGM, CBS Films and other studios in addition to the company’s independent films, web series, and diverse television projects in both broadcast and cable. Weinstock began his career at Spy magazine and Random House book publishers in New York City before becoming a writer himself. He is the author of a nonfiction book, The Secret Love of Sons; two novels, As Long As She Needs Me and The Golden Hour; and articles and essays for The New York Times Magazine, National Public Radio, The Nation, Vogue and many other national publications. In 2000, Weinstock went to work as vice president of corporate communications at News Corporation, serving as chief speechwriter for the global media company’s chairman, Rupert Murdoch, as well as for its president, Peter Chernin. In 2004 he moved to Los Angeles to serve as vice president of development for 20th Century Fox Television, where he helped to launch a range of TV series for broadcast and cable networks. In 2007 he partnered with Judd Apatow to run Apatow Productions, overseeing such movies as Forgetting Sarah Marshall, Pineapple Express, Step Brothers, Get Him to the Greek and Bridesmaids. 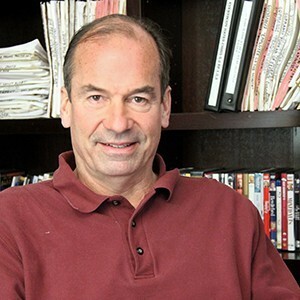 In 2009 he joined Peter Chernin to launch Chernin Entertainment and helped oversee the company’s development of both feature and television projects. In May 2011 he founded his own company, Invention Studios, which he ran for four years—selling more than a dozen movies to studios as well as 10 television shows—before joining with Stiller to merge their companies with the financial backing of Bold Films and full independence from studio deals. Weinstock serves on the board of the Jackie Robinson Foundation and on the executive council of the Authors Guild. He lives in Los Angeles with his wife and three children. Read Harvardwood's alum profile of Nicky Weinstock here. Peter Blake AB '91, JD '95 was a lawyer and management consultant before he started writing for television. He wrote for HOUSE, M.D. for eight seasons, and has written for THE PRACTICE, ELEMENTARY and HEMLOCK GROVE. He has also written screenplays for Universal, Warner Brothers and Paramount. Blake earned consecutive Emmy nominations as a HOUSE producer in 2007, 2008 and 2009. He won the PEN/USA literary award for his HOUSE teleplay “The Tyrant.” He has received three Edgar Allen Poe Award nominations from the Mystery Writers of America, winning the award in 2004 for co-writing the episode “Goodbye.” He has also been nominated for the WGA award for best teleplay and for two Humanitas Prizes. Blake is from New York City and is a graduate of Harvard University and Harvard Law School. He lives in Los Angeles. Steve Tompkins is an Emmy Award-winning television writer and producer with many successful credits to his name. He began his career at the groundbreaking “In Living Color,” working closely with Jim Carrey, Jamie Foxx, and Keenen and Damon Wayans. Mr. Tompkins then wrote for the hit animated series “The Critic” and “The Simpsons,” where he won an Emmy for his work. He also co-created the animated series “The PJs” starring Eddie Murphy, and served as consulting producer on “Everybody Loves Raymond.” During his tenure as Executive Producer of “The Bernie Mac Show,” Mr. Tompkins won the Humanitas Award for writing the episode “Sweet Home Chicago” and was nominated for an individual Emmy for outstanding writing in a comedy series for his episode “Goodbye, Dolly.” Mr. Tompkins has also developed original shows for FOX, Nickelodeon and HBO, including the popular series “Entourage.” Recently, he wrote and produced CBS’ longrunning hit, “Two and a Half Men,” and is currently staffed on Netflix’s “The Ranch,” which stars Ashton Kutcher, Sam Elliott and Debra Winger and will premiere in winter 2016.